What If The Earth Split In Half? Jupiter, the 5th planet from the sun, is the biggest planet in our solar system. A gas giant, 11 times the size of earth, and 318 times as massive. In comparison, our earth is tiny. The earth is around 7 thousand nine hundred miles across. Jupiter’s diameter is 87 thousand miles. 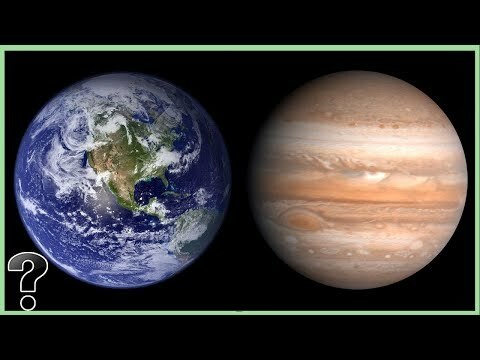 But what if earth were as big as Jupiter? How would that affect the life forms and planet itself?